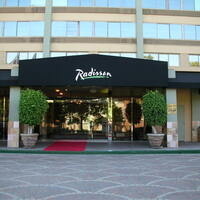 The Radisson Mid-City Hotel is a full-service hotel serving the needs of the University Park area as a whole. Nice person!Nice event! Hope to see more networking workshop on connectSC like this! Excellent! I also wanna be a volunteer next time! It was nice and organized but I wish there could be more gerontology-related position next time. Had an appointment to go the Playa Vista but could not find address online so I went to this location instead. The staff were great! The nurse was funny and we joked about the BMI for minority women. I was in and out.